SAN JACINTO CO., TX (KTRK) -- A San Jacinto County man went outside his home for some cool air this morning, heard some hissing behind him, and was met with a huge surprise: an 11-feet-long alligator under his travel trailer. 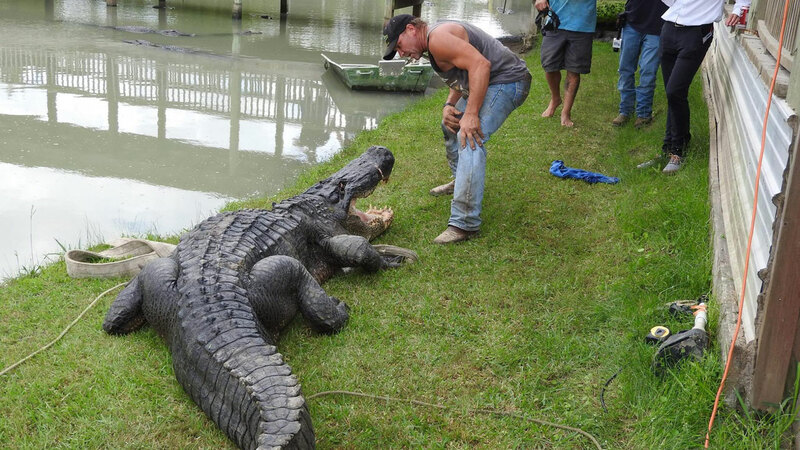 This monster measured 13-feet, 8-inches long and weighed in at nearly 900 pounds. The man bolted indoors and called 911. 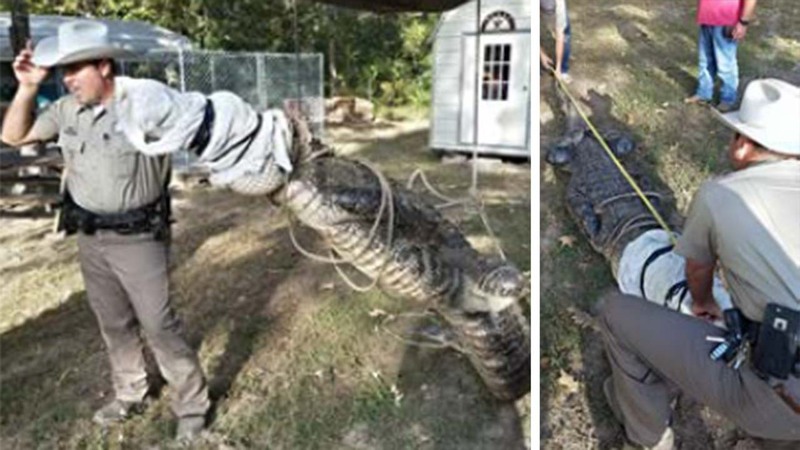 When San Jacinto County sheriff's deputies responded to his home in the 100 block of Hidden Oaks, they called a local gator wrangler, Stephen Moye, of Livingston. He trapped the alligator alive for relocation. The alligator was so heavy that a tractor had to be used to load it.